We have information you must know before you buy the Acadia. The carryover 2019 Acadia continues flowing into dealers, and supplies are looking good. As the volume leader of the lineup, the mid-level SLE usually sells at a favorable price point. In contrast, the plush Denali is both rare and in demand, so don't expect much room for negotiating. Note that the entry-level SL is always excluded from factory offers, not to mention nearly impossible to find. For 2019, the SLT, which is slotted just below the Denali, gets a $500 price cut. Overall, the Acadia is the most aggressively priced vehicle in the GMC lineup. For 2020, the Acadia will gain an optional 2.0-liter turbo engine, paired with a nine-speed automatic transmission. A ruggedly styled variant called AT4 will join the lineup. The 2020 Acadia will hit dealers this fall. GMC now offers 15% off the MSRP of 2019 Acadia models in stock. On top of that, current customers of non-GM brands are eligible for a $750 conquest bonus. You can save up to $7,780 off an all-wheel-drive Acadia Denali with this promotion — well above average for this model. Your other option is a standalone $5,000 rebate on any model. That's a good amount, but you'll almost certainly come out ahead by taking the MSRP discount. Current lessees of any brand can now lease a 2019 Acadia SLE from $277 for 36 months (10,000 miles a year) with $277 due at signing. The effective monthly cost is $285, an exceptional value for this price class. For everyone else, the cash at signing will be $2,000 higher, which is still a great deal. Instead of the other offers, you can get 0% financing for 72 months on the 2019 Acadia. The deal comes with $1,000 bonus cash. 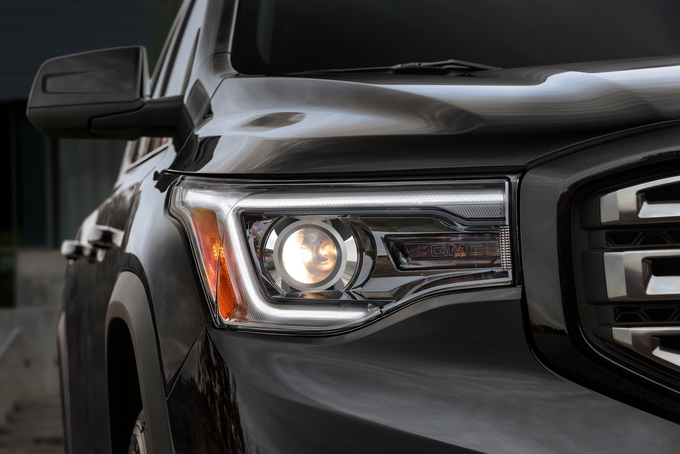 The 2019 GMC Acadia is the automaker's mid-size crossover. A second-generation model was launched two model years ago with two choices of engines and drivetrains. 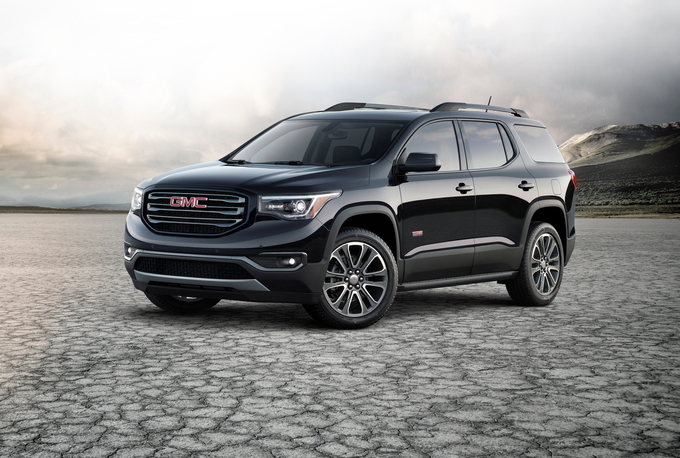 A Black Edition package complements the six main Acadia models, while four new exterior colors have been added to the options list. Also, 17-inch all-terrain tires are available on SLE-2 and above models with all-wheel drive and the All Terrain package. The 2019 Acadia is powered by a 2.5-liter four-cylinder gas engine producing 193 horsepower and 188 pound-feet of torque. Buyers seeking more power (or towing capacity) can upgrade to the 3.6-liter V6, which delivers 310 hp and 271 lb-ft of torque. This is fitted as standard to flagship Denali and SLT-2 trims, and it’s an option on SLE-1, SLE-2, and SLT-1 models. SLE-2 and SLT-1 trims are also available with optional all-wheel drive, with SLT-2 and Denali models getting AWD as standard. Powering all four wheels has little effect on the 2.5-liter’s fuel economy, which checks in at an EPA-estimated 21 miles per gallon city, 26 mpg highway, and 23 combined. With AWD, these figures drop to 21/25/22 mpg (city/highway/combined). The 3.6-liter engine achieves 18/25/21 mpg with front-wheel drive and 17/25/20 mpg in AWD models. The base SL starts at $29,995 (all prices include the $995 destination charge) and is the only Acadia model not available with the larger 3.6-liter engine. Fitted with a two-three-two seating configuration as standard, it’s modestly specified compared to other models. Even so, it does provide keyless entry, a rearview camera, and cruise control. Like every Acadia, the Teen Driver mode lets parents customize certain settings to encourage safe driving – including driving habit report cards. Uniquely, the SL trim has no available options beyond silver metallic paint ($395) and a front license plate bracket ($40). SLE Acadias are available in two sub-versions, both with the option of the 3.6-liter engine. The SLE-1 model is priced from $33,795 and retains the two-three-two seating layout of the SL, though it adds a number of creature comforts including SiriusXM radio, a full-sized spare tire, carpeted floor mats, and daytime running lights. There’s a choice of five metallic paints, compared to the solitary color on SL models. The SLE-1 is the first Acadia to offer a significant options palette. The Cargo Package ($185) adds a retractable cargo shade and cargo net, while the Roadside Safety Package ($130) includes a first aid and highway safety kit. The Premium Carpet Floor Mat Package ($260) adds what its name suggests, the Interior Protection Package ($300) includes all-weather floor and cargo mats, and the Floor Liner Package ($385) brings all-weather floor and cargo liners. The Black Accent Package ($1,195) puts a black grille, dark finish tail lights, and dark finish rear license plate trim on the Acadia. Rear passengers can enjoy their own LCD monitors with the Rear Seat Infotainment System (available with or without a DVD player), with two sets of wireless headphones, a remote control, and USB and HDMI connectivity. The SLE-2 starts at $36,195 and is distinguished by a two-two-two seating configuration as standard (two-three-two remains an option), though the third row is removed if AWD is chosen. This is the first Acadia to feature an eight-way power driver’s seat, heated front seats, remote start, a powered and programmable liftgate, fog lights, silver roof rails, and 18-inch aluminum wheels. The Roadside Safety, Cargo, Premium Carpet Floor Mat, Interior Protection, Floor Liner, and Black Accent Packages all return for the same price. The Exterior Convenience Package ($865) adds roof rack cross rails and molded assist steps. The Driver Alert Package I ($790) brings rear cross-traffic alert, rear park assist, blind-spot monitoring, and lane change alert. Finally, with all-wheel drive, the All Terrain ($2,045) pack becomes available. This includes hill descent control, a universal home remote, premium cloth seats, black roof rails, a leather-wrapped steering wheel, the V6 engine, available 17-inch all-terrain tires, and more. Other possible upgrades include an eight-inch color touchscreen and infotainment system ($920), supplied in tandem with an 8-speaker Bose audio unit. Priced from $38,995 with a choice of two engines and drive modes, every SLT-1 comes with a variety of creature comforts. The inside rearview and driver-side external mirrors automatically dim, and a Bose audio system is standard. Front seat occupants can make themselves more comfortable with lumbar control, while the contents of the Driver Alert Package I from the SLE-2’s options list is included as standard equipment. The Black Accent, Exterior Convenience, Floor Liner, Interior Protection, Premium Carpet Floor Mat, Cargo, and Roadside Safety Packages are available for the same price. On SLT-1 models with all-wheel drive, the All Terrain package's price is reduced to $1,800 and comes with the same features that aren't already standard. AWD versions are also available with an All Terrain Cargo Package ($350, cargo tie-downs, vertical and horizontal cargo nets, and retractable cargo shade) and Adventure Package ($325, cargo tie-downs, and cargo stabilizer). A two-panel sunroof with tilt-and-slide front section is a $1,400 standalone option, while navigation runs $495. Available exclusively with the 3.6-liter engine, SLT-2 models are priced from $42,895. This delivers a number of mechanical and feature improvements over lesser Acadias. It features 20-inch aluminum wheels, memory function for the driver seat and outside mirrors, heated second-row seats, intelligent headlights, a 170-amp alternator, a heavy-duty cooling system for the standard-fit trailering package, a dual exhaust, front and rear park assist, lane keeping assist, automatic emergency braking, blind-spot monitoring with lane change alert, a safety alert driver seat, forward collision warning, and front pedestrian braking. The flagship Acadia Denali model is also only available with the 3.6-liter AWD. It starts at $46,495 and is distinguished from lesser Acadias by a Denali-branded grille, navigation, 20-inch aluminum wheels, bright roof rails, carpeted floor mats, a hands-free power liftgate, heated and ventilated front seats, a Denali-branded heated steering wheel, HID headlights, and a power tilt-and-telescoping steering column. The Technology Package ($1,495) adds forward automatic emergency braking, adaptive cruise control, and a surround-view camera system. 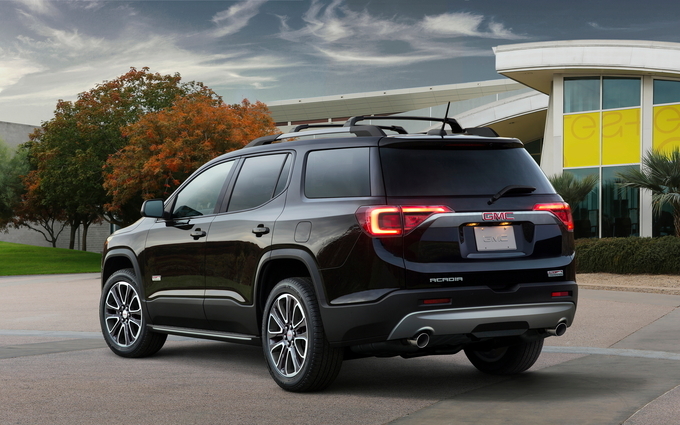 With the option of two powerplants, two drivetrains, and three seating configurations, the 2019 GMC Acadia SLE-2 represents the best balance between affordability and equipment. Ticking the AWD box brings several welcome creature comforts, and the Driver Alert I package boosts safety equipment. 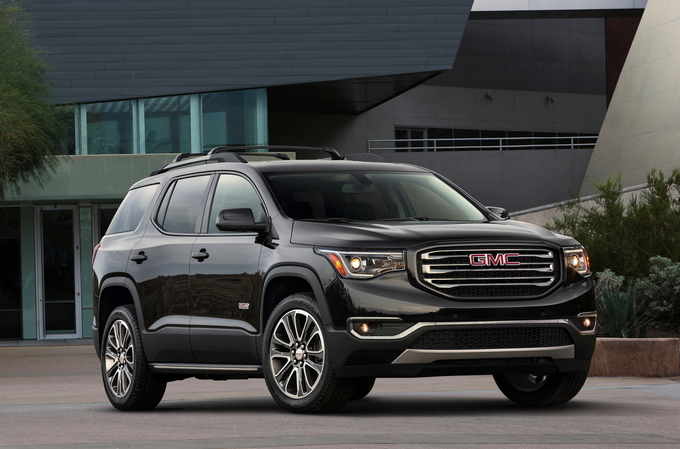 In a world where cars tend to swell in size year after year, the GMC Acadia is unusual. Since its last generation, it has become smaller. Despite its lessened footprint, the 2019 GMC Acadia still packs in decent value. It's neither a standout nor a dud, but modern features and fresh styling mean that the Acadia is a solid competitor. The cheapest available trim on the Acadia is the SL, which seems to exist primarily to get the base MSRP under $30,000. It doesn't permit any of the main packages or options, and is available only with the base four-cylinder engine. We much prefer the 3.6-liter V6, which is available on all other models. Of the trims, the sweet spot is the mid-level SLE-2, which adds a few luxuries like heated seats and a power liftgate while keeping prices reasonable. The SLE-2 is also the first trim to get access to common safety features like park assist and blind-spot monitoring, which are becoming increasingly common as standard features. All-wheel drive is an option, but GMC usually forces bloated option packages in with the addition, so this is one case where we'd skip it. The Acadia isn't a great off-roader, anyway. The Acadia is a quietly excellent driver, with plenty of grunt and pleasant handling. The independent suspension irons out bumps with aplomb despite the 18- or 20-inch rims, and the steering is responsive and nicely weighted. If all-wheel drive is added, the Acadia gains independent drive modes for off road or towing. The base four-cylinder engine is relatively frugal for an SUV this size, achieving an EPA-estimated 23 miles per gallon combined. In the quest for efficiency, some grunt is lost, and the base engine feels down on power compared to competitors. The more powerful V6 is a capable performer, but more disappointing on fuel economy. It also boosts the Acadia close to the price range of more luxurious SUVs, which is dangerous territory. The styling of the Acadia is a bright point, managing to be both smooth and pleasantly utilitarian. The squared-off wheel arches mean business, while a loop of chrome around the windows add a touch of flash. 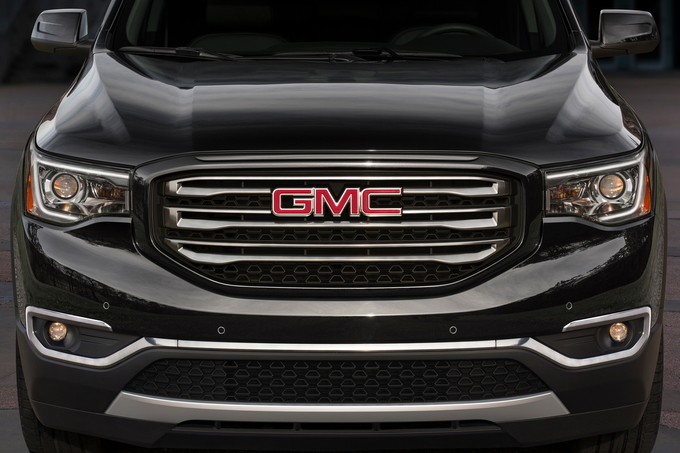 The chrome elements can be dialed up or down by trim level, from the rugged All-Terrain package to the glitzy Denali. The cabin is spacious despite the narrow footprint, and interior materials are quality, though the layout feels slightly dated. Most trims are available in either six- or seven-seat configurations, and the All-Terrain package ditches the third row entirely. That third row is one of the few major weaknesses of the Acadia due to its cramped quarters. Children will be comfortable enough, but adults won't. With the third row in place, cargo space is a disappointing 12.8 cubic feet, although folding the back rows balloons capacity to a more reassuring 79 cubes. Despite the Acadia's strong crash-test ratings, the limited availability of safety technology will be off-putting for some buyers. The GMC Acadia is pleasantly competent as a family SUV: comfortable, well-featured, and almost agile on the road. Besides a few pricy trims and options, it suffers mainly from a lack of truly noteworthy characteristics to separate it from the crowd. The Acadia is a solid pick for families who want solid performance and smooth around-town behavior. The third row is fine for the kids, while the comfortable cabin and appealing exterior will keep parents happy. Buyers who demand top-notch efficiency or cargo capacity may be let down. The Acadia is a decent performer is most situations, but the more frugal engine feels a bit sluggish and cargo space is limited with all the seats filled. The 2019 GMC Acadia may not redefine the industry, but it does an excellent job checking all the boxes. It's likable and versatile, exactly what a mid-size SUV should aim for. Competitors like the Honda Pilot and Toyota Highlander may have the edge in areas like safety technology, but the Acadia manages to pack features in at solid value. It deserves a spot on most buyers' list of contenders. 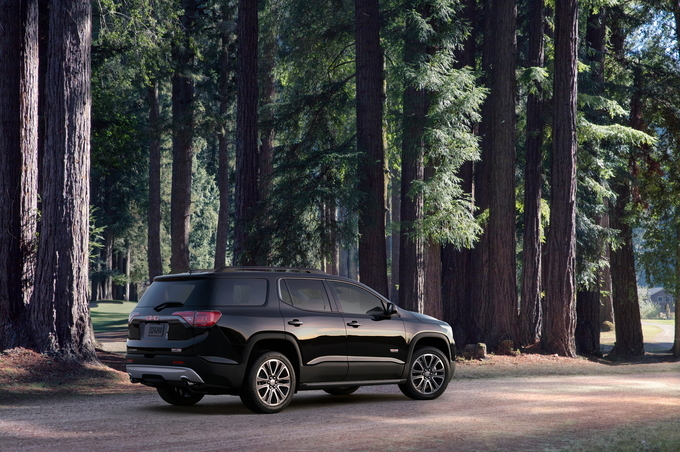 We have partnered with trusted dealers in your area to give you a great price on the new GMC Acadia.